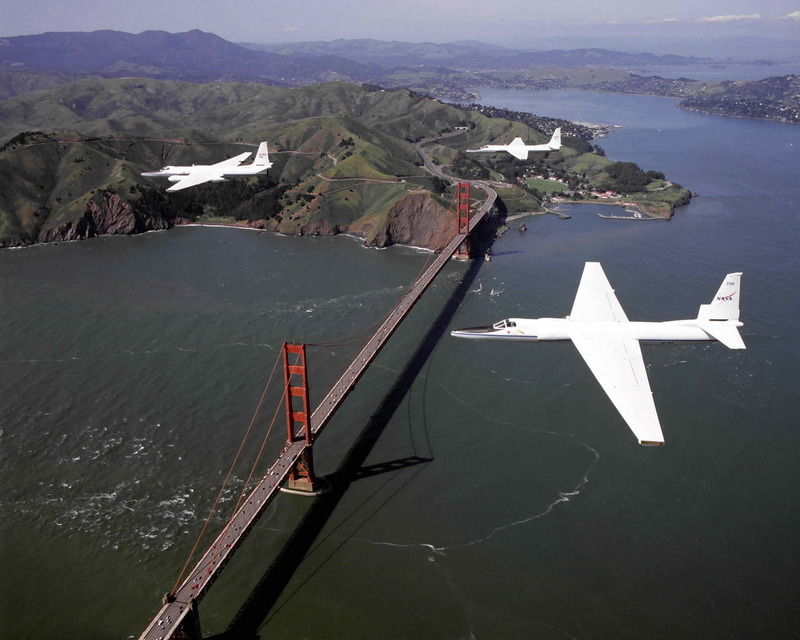 The Golden Gate Bridge, San Francisco, California, viewed from the U-2 airplane. Courtesy of NASA Ames Research Center, photographer Dominic Hart. 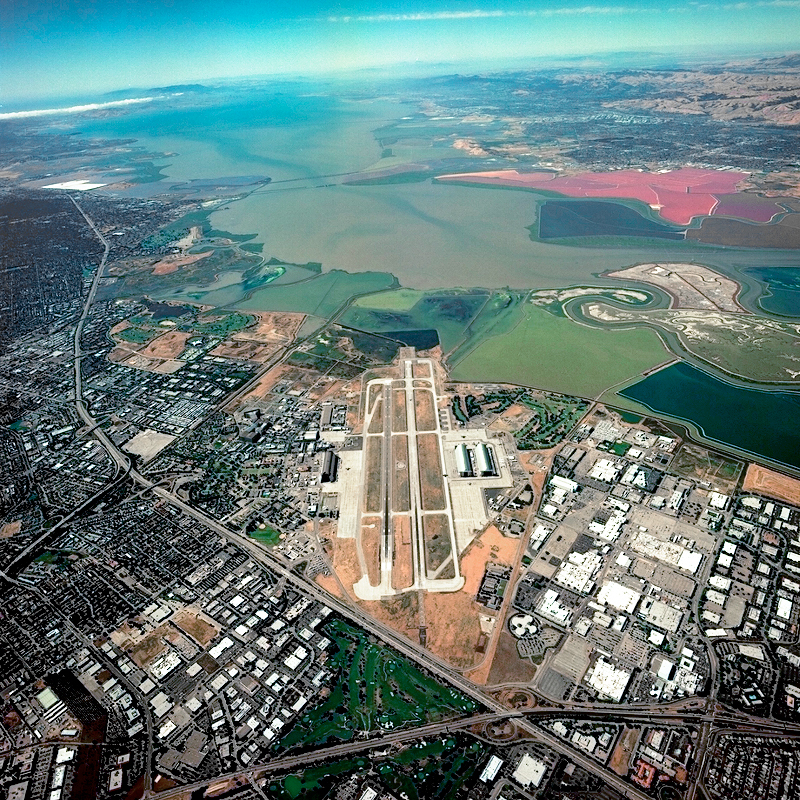 An air view of the heart of the Silicon Valley in Sunnyvale,CA.